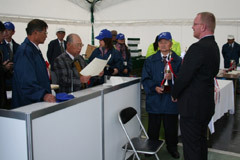 From Friday November 17th until Sunday November 19th the Zen Nihon Airinkai koi club held its 42nd annual national show. 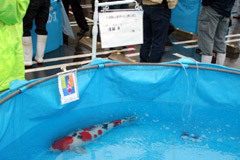 Momotaro Koi farm’s customers entered a total of 10 koi ranging in size from 96cm to 70cms. 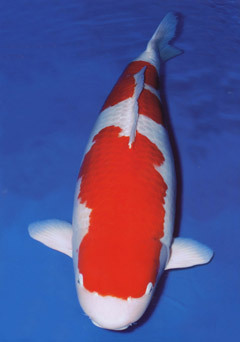 We are pleased to announce that a Momotaro bred 96cm Kohaku named “Bentely” owned by Mr. Takigawa, of Shimane Prefecture, Japan won the Grand Champion award. 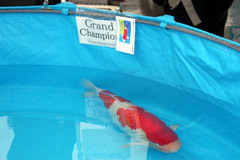 The Superior champion or second champion of the show was awarded to a Momotaro bred 93cm Sanke named Ryu X. 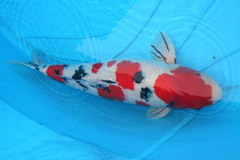 This sanke is owned by Mr. Giel Van Alphen of Belgium. 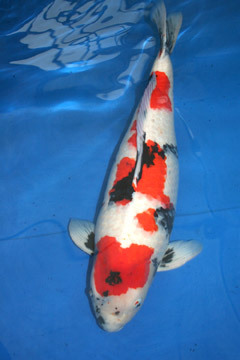 The Best in Showa Variety was also won by a Momotaro bred 86 cm Showa owned by Lit Ying Yeung of Hong Kong. 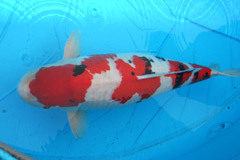 This means that Momotaro Koi Farm entered the best Kohaku, Sanke, and Showa in this weekend’s show. 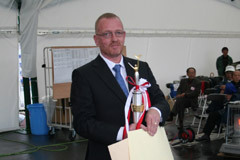 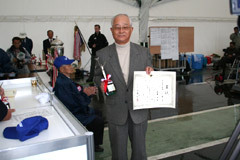 Lastly, the 75cm Best in Size(kokugyuo) award was won by a Momotaro Sanke owned by Mr. Endo from Akita prefecture, Japan. 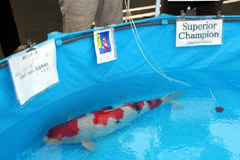 We are very pleased with these results, and are pleased that our customers fish are performing so well. 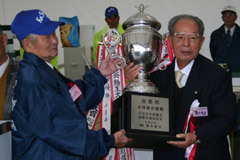 A macrophotograph is displayed when click it.